Returning after 30 years, the Alfa Romeo Sauber F1 team will participate from the 2018 season, and be powered by Ferrari's 2018 engines. Legendary Italian carmaker Alfa Romeo has announced its return to Formula One, in partnership with Sauber. Alfa Romeo's hiatus of over 30 years from the pinnacle of motorsport racing will end when the 2018 racing season kicks off on March 25 in Melbourne, Australia. The deal includes a multi-year technical and commercial partnership with Sauber, and see the Formula One team being renamed to Alfa Romeo Sauber F1. The Alfa Romeo Sauber F1 car will be powered by 2018-spec Ferrari engines, and will lend technical expertise to Sauber's existing F1 team as the brand continues its brand upheaval globally. The legendary Italian company was once the dominant force when the Formula One World Championships began in 1950, and even went on to claim the first two world championships in 1950 and 1951. Cars like the Supercharger 158 and Alfetta 159 displayed the best of automotive technology back in the 1950s, which included engines that produced a staggering 420bhp back then. Alfa Romeo's return to Formula One is also a throwback to its pre-World War II days, when it ruled the realm of Grand Prix racing with cars like the Alfa Romeo P2 and P3. As its racing success fizzled out with the advent of Mercedes and Enzo Ferrari's Scuderia Ferrari, Alfa Romeo moved to the shadows of GP racing and switched to a support role for Ferrari's racing ventures. Its most dominant phase in the history of racing came just after WWII, when it thoroughly dominated racing between 1946 and 1949 after being outperformed by Mercedes' Silver Arrows just before the War. 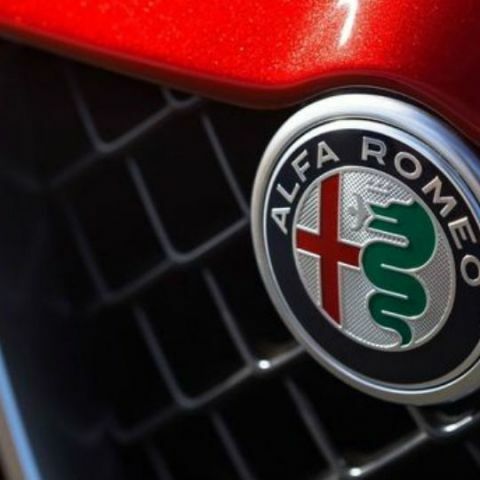 Sergio Marchionne, CEO of Alfa Romeo's parent Fiat Chrysler Automobiles and Chairman of Ferrari, stated, "A storied marque that has helped make the history of this sport, Alfa Romeo will join other major automakers that participate in Formula 1. The brand itself will also benefit from the sharing of technology and strategic know-how with a partner of the Sauber F1 Team’s undisputed experience. The Alfa Romeo engineers and technicians, who have already demonstrated their capabilities with the newly-launched models, Giulia and Stelvio, will have the opportunity to make that experience available to the Sauber F1 Team. At the same time, Alfa Romeo fans will once again have the opportunity to support an automaker that is determined to begin writing an exciting new chapter in its unique, legendary sporting history." Formula One has forever been the hub of motorsport and automotive innovations, having introduced technologies like Kinetic Energy Recovery System (KERS) and Drag Reduction System (DRS) for more mainstream application. Alfa Romeo's return to Formula One will potentially benefit the company's production technologies, coming right on cue as technology continues to play bigger roles in automobiles. is there any problem with buying One Plus One? ?